For those of you who find amusement in our quick to change seasons: This morning we saw our first HARD frost of the season. 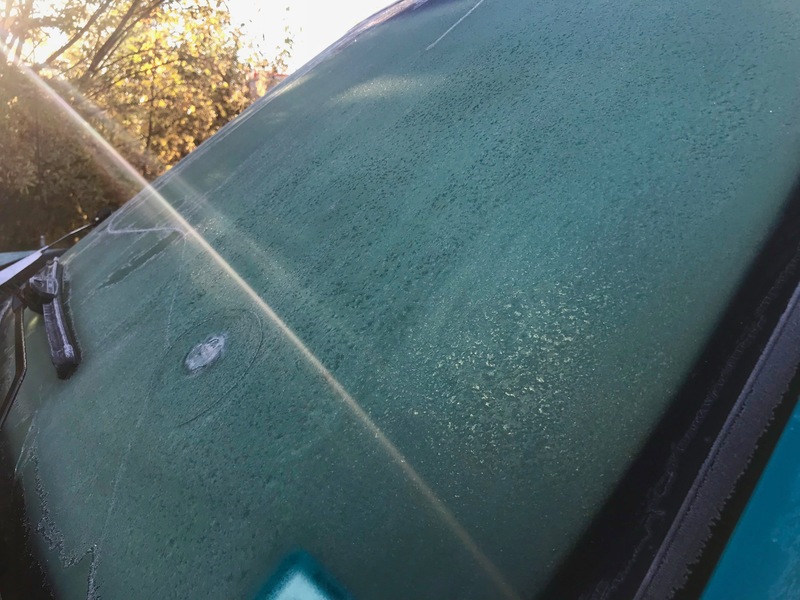 It wasn’t our first frost, mind you, just the first one that killed tomato plants and left a thick layer on our windshields. 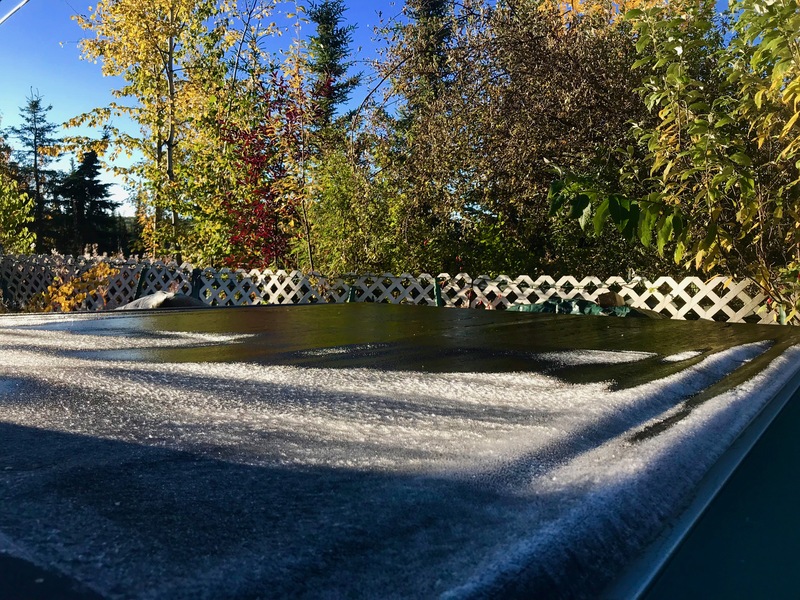 This entry was posted on Saturday, September 8th, 2018 at 8:06 PM	and tagged with Fairbanks, first frost, northern life, photo and posted in Alaska. You can follow any responses to this entry through the RSS 2.0 feed. It seems it is true that everything is relative…. in that I would give anything to trade this continuing heat for a ‘nip’ of that frost. It really is relative, Pete, and I would not change a thing!